With Readly you can read Ali: The Greatest and thousands of other magazines on your tablet and smartphone. Get access to all with just one subscription. New releases and back issues – all included. 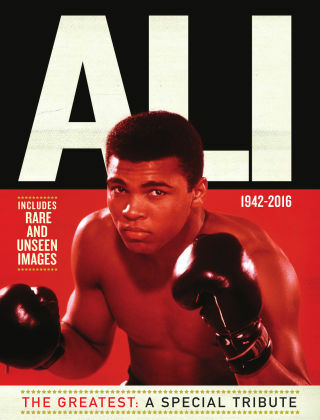 A special magazine tribute to Muhammad Ali. Featuring rare and unseen images from the magnificent Daily Mirror archive, plus Mirror pages and reports from the past 50 years, this 84-page publication looks back at an incredible life that scaled unprecedented heights of sporting and social achievement.